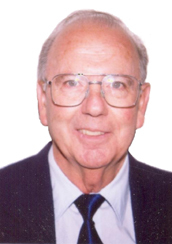 Following his postgraduate studies in Orthodontics as a senior research fellow, as well as postgraduate studies in Dental Public Health, at Harvard School of Dental Medicine, Boston, Massachusetts, USA (1966-1969), Prof. Shapira has served as an Instructor, Department of Orthodontics, Hebrew University-Hadassah School of Dental Medicine, Jerusalem (1969-1972). He joined the Department of Orthodontics, el Aviv University School of Dental Medicine as the Coordinator of the Graduate Orthodontic Program (1972-1975). Prof. Shapira was appointed Associate Professor at the Orthodontic Department, School of Dentistry, University of Louisville, Kentucky, USA (1979-1981). He was appointed Senior Lecturer in Orthodontics (1981), and Clinical Associate Professor in Orthodontics at Tel Aviv University School of Dental Medicine (1997). He served as a Visiting Professor in Orthodontics at several academic institutions such as the University of Louisville School of Dentistry, Kentucky (1984-1990), and New York University College of Dentistry, New York City (1991-present). Prof. Shapira is the recipient of the First Prize, Edward Hatton Awards Competition for Meritorious Papers and Original Research, at the Annual Meeting of the International Association for Dental Research, Houston, Texas, USA (1969), and a grant from B. de Rothchild Foundation for the Advancement of Science in Israel (1970). He served as an Orthodontic Consultant for Cleft Lip & Palate and Craniofacial Anomalies, Department of Plastic and Maxillofacial Surgery, The General Jewish Hospital, Shaare Zedek, Jerusalem (1973-1979), and in the Department of Oral and Maxillofacial Surgery, Barzilai Hospital Medical Center, Ashkelon (1972- present). He lectured extenceively in orthodontic national and international congresses around the world. He is a member of the American Association of Orthodontists and the Israeli Orthodontic Society, and a reviewer for the Angle Orthodontics journal. Orthodontics, Dentofacial Orthopaedics, Dental Braces, Dental anomalies, Cleft Lip & Palate, Craniofacial anomalies.